It took quite a while to get to this moment. Twenty-nine years, to be precise. That—as Judy Rodman reminded her audience last Tuesday night at the Nashville Musicians Association on Music Row—was the last time she had released a new album. “The first time in twenty-nine years . . . and the first time ever with John,” Judy said, looking affectionately at her drummer/songwriter husband, as she and John hosted a private CD Listening Party for friends and music-industry professionals. “We just wanted to play again,” John Rodman told the large crowd. 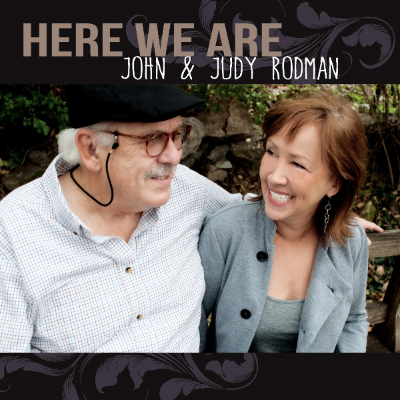 The album the Rodmans unveiled is entitled Here We Are, a richly varied collection of seven songs, ranging from radio-ready contemporary country (“Something Like That,” “Still Breathing”) to Deep-South soul and R & B (“When the Day is Over,” “Something Bad”) to the dream-like instrumental “Sweet Dreams,” the album’s final track. “Amazing album,” said Vinny Ribas, CEO of Indie Connect, as the last strains of “Sweet Dreams” faded away. “Killer,” I replied, as loud, sustained applause filled the room. For my part, I kept thinking about the gift this album represents. The word “gift” resonated in my head throughout the CD Listening Party and all through my half-hour drive home afterward. You don’t’ earn the “Best New Artist” Award from the Academy of Country Music—as Judy Rodman once did—without being an extraordinarily gifted artist. You don’t write #1 hit songs—as Judy Rodman has done—without being a very gifted songwriter. But the greatest gift that night—to me—had to do not with what was unveiled, but in how: before a large group of people who deeply appreciate the musical art form, and who were curious to see what new richness two of Nashville’s most respected and beloved artists could place before them. When it was over, the audience knew they’d heard something very special—and been part of something special. One of the greatest gifts a friend can give you is hope—a sense that the world and your life matter and have meaning. That your struggles and suffering will pass, and that you are loved and valued amid them. That is the gift given by Connie Smith to her friends—known and unknown—in the wonderful new inspirational giftbook Never Lose Heart. DAVE CAREW: How did the idea of Never Lose Heart first come to you? 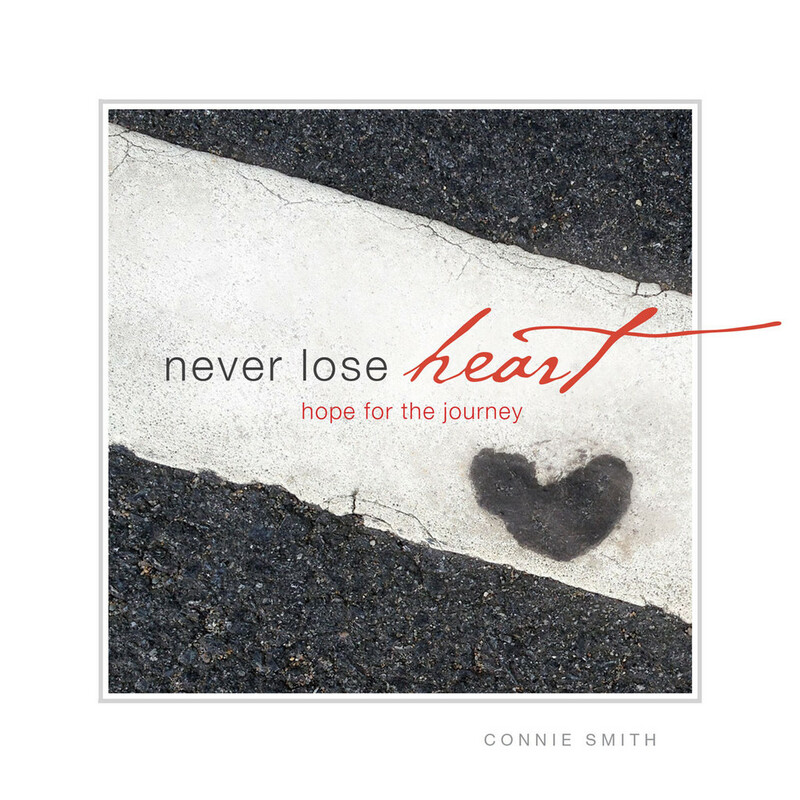 CONNIE SMITH: After I found close to sixty heart images, the idea crossed my mind that perhaps these inspirational images should be shared in a book. However, I kept dismissing the idea because I didn’t exactly consider myself a writer. Two months later, as I was out on a walk talking to God about it, the concept of the book dropped into me so quickly I could barely get my phone out of my pocket fast enough to jot down notes. Needless to say, I knew at that point God was prompting me to write Never Lose Heart. When I finally sat down to begin what I imagined would be a monumental project, especially for a rookie, to my surprise, I wrote the book in that one day. All credit to God for His divine inspiration. DC: What is the single greatest insight or epiphany you’ve ever had about God? CS: Through my journey in the “desert,” I came to the realization that true transformation is not found in striving harder to change behaviors or trying to please God with our efforts. More than anything, God desires for us to be still and simply “be” with Him. To be with Him is to know Him. To know Him is to know His incredible love and grace. To know His love and grace is to know true freedom, joy, and the fullness of life. It’s not about what we do for God. It’s about receiving what He’s done for us—with no strings attached. There’s no greater power. DC: What is your deepest hope for the person who reads Never Lose Heart? CS: First, I suggest finding a quiet place and reading Never Lose Heart like a devotional, taking time to meditate on the simple yet profound messages. My hope is that the book will provide comfort, encouragement, and hope, especially for those facing life’s hardships, disappointments, and challenges. We are never alone. God is faithful and promises to be with us no matter what, even in the midst of our failures. Moreover, I hope the book will inspire people to look and listen for God’s voice around them. God longs to make His unconditional, relentless love known to us on a personal level. It is everywhere—if we choose to open our hearts and see it. You are currently browsing the Underground Nashville blog archives for March, 2015.